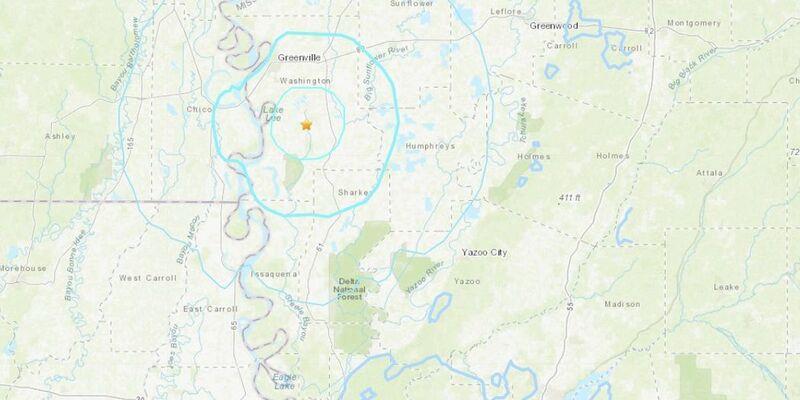 A 3.7 magnitude earthquake shook the Mid-South on Wednesday morning. A potent low pressure will move northeast out of Texas Saturday morning and move through the Mid-South during the evening and overnight hours. 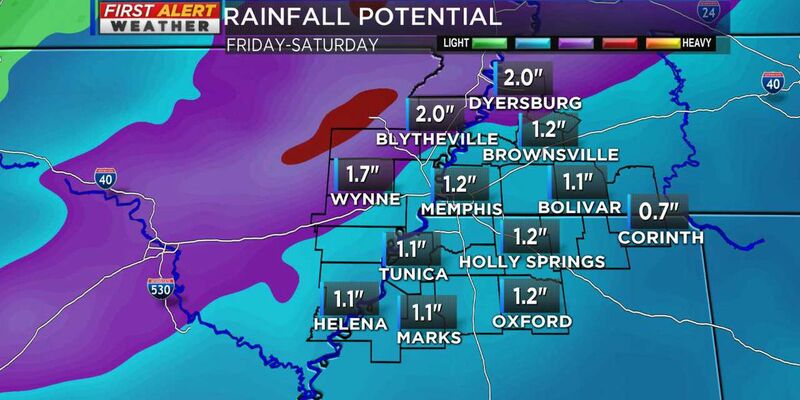 If you have big plans for the weekend, here’s a breakdown of when rain could disrupt your activities. 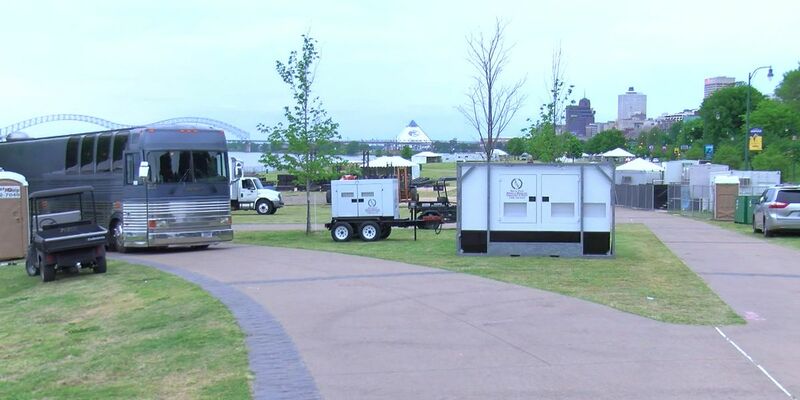 The Great Plains is typically referred to as tornado alley, but researchers are finding evidence that tornado alley is shifting away from the plains and into the Southeast, putting a bull's-eye on the Mid-South. 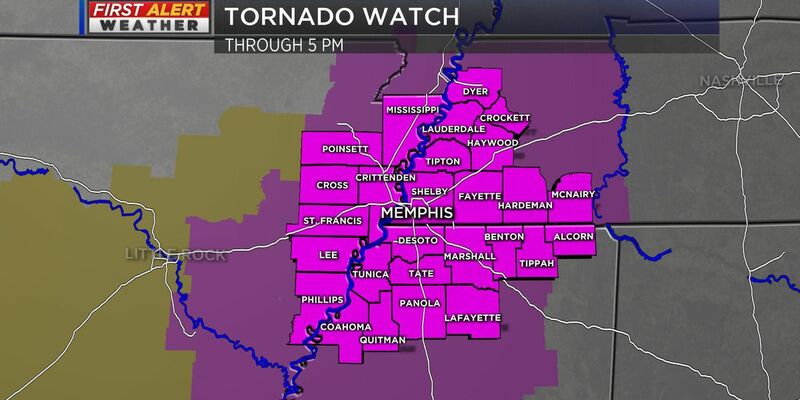 A potent low pressure system moving northeast through the Plains is having an impact right here in the Mid-South. We are tracking another big weather system, as a strong cold front will move through the Mid-South Wednesday evening into Thursday. 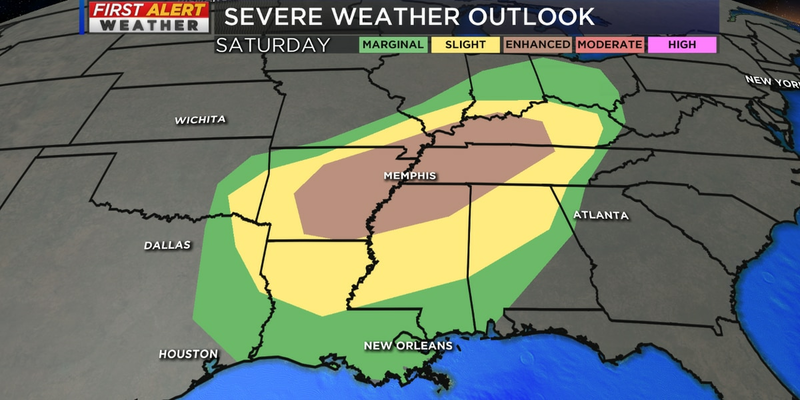 Areas along the Mississippi River including northeast Arkansas, extreme west Tennessee and extreme northwest Mississippi have a low to medium threat for a few severe storms Saturday. 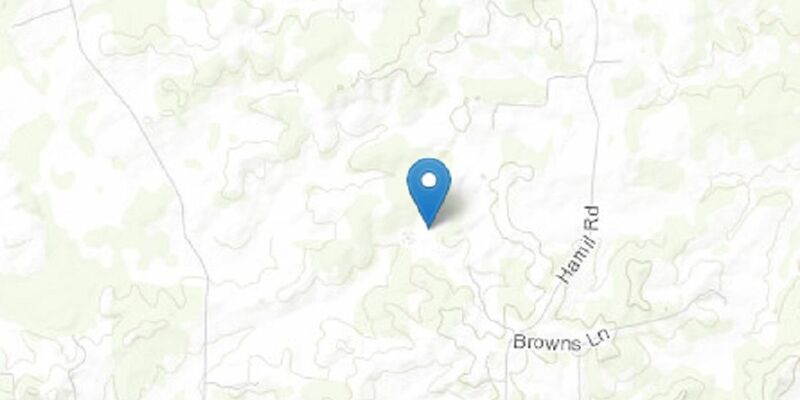 Two earthquakes hit Region 8 within just 15 minutes of each other on Tuesday morning. 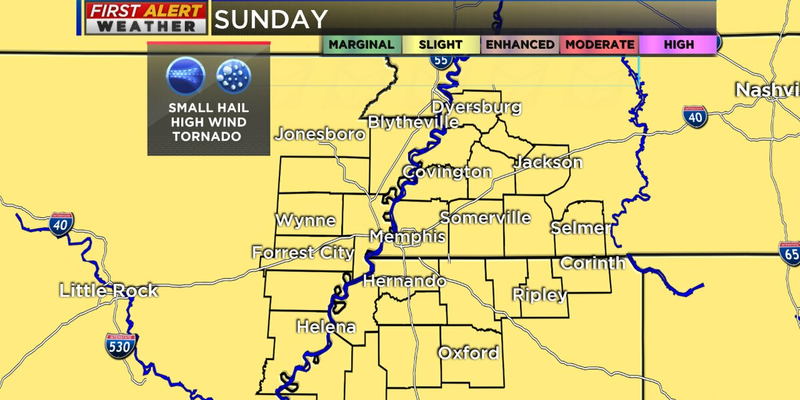 Earlier Saturday afternoon was sever thunderstorm warning for most of Mississippi. 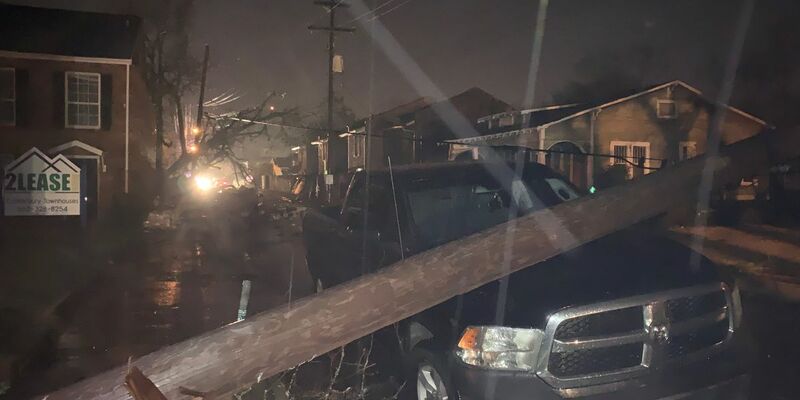 Here are a few pictures from viewers that show parts of Mississippi that experienced significant damage. 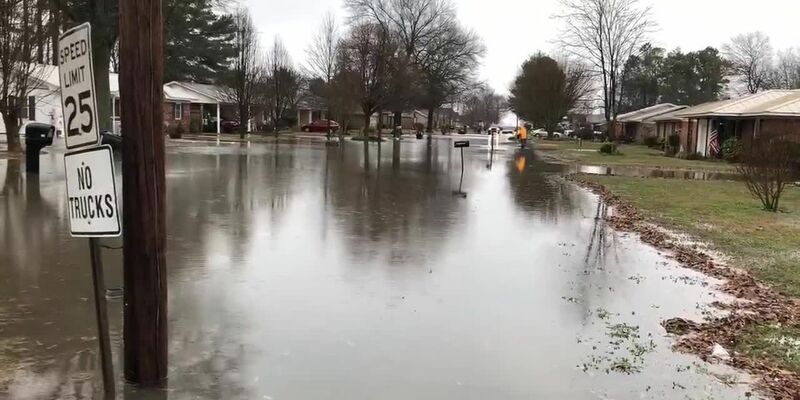 With heavy rainfall throughout the week, and more continuing throughout the weekend, communities in the Mid-South are dealing with storm damage. 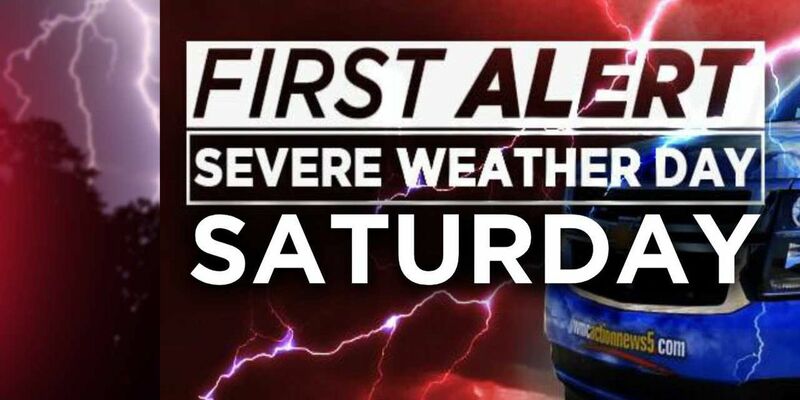 Saturday is a First Alert Weather Day for the entire Mid-South. Severe storms will arrive in the afternoon and early evening as a cold front interacts with a warm, moisture-rich air mass. 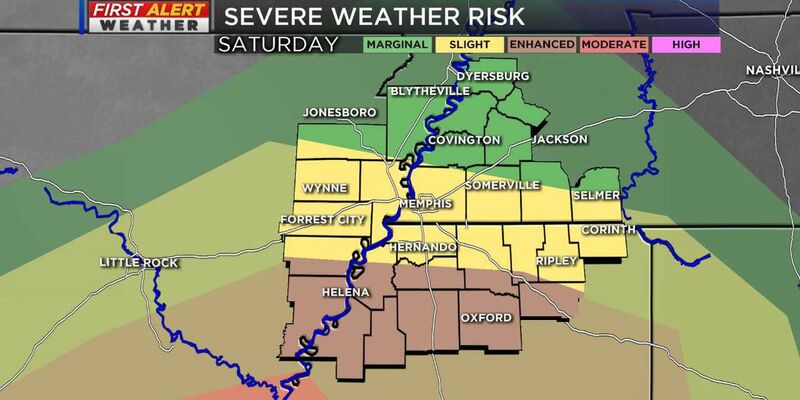 A weather system producing heavy rain and flooding Friday will intensify overnight and through the day Saturday to bring a threat for severe storms to the Mid-South. 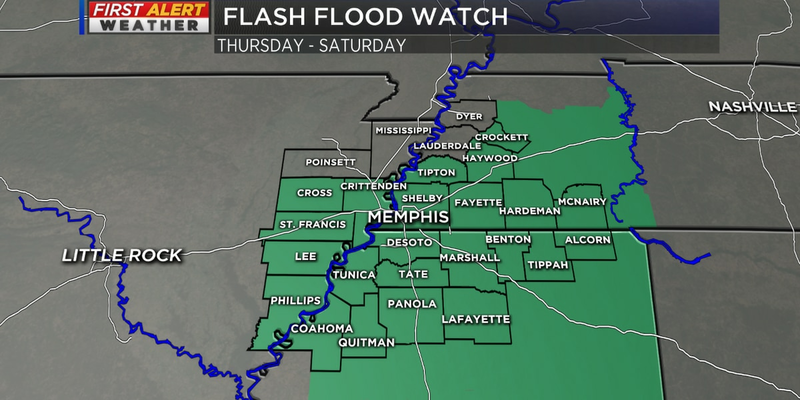 A FLASH FLOOD WATCH is in effect for much of the WMC Action News 5 coverage area through Saturday evening as another round of heavy rain and thunderstorms returns to the Mid-South. 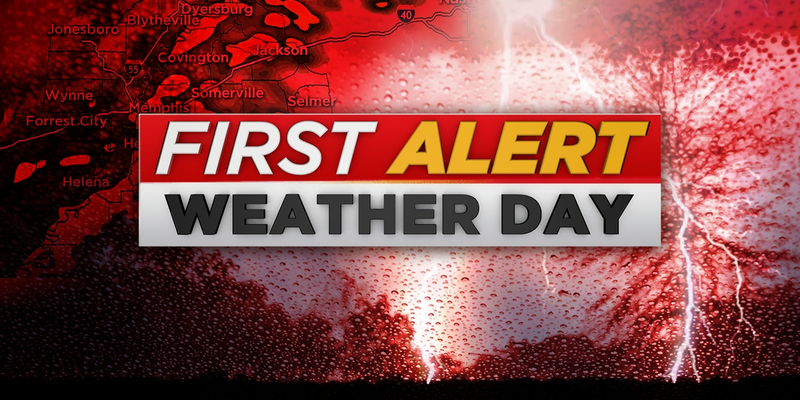 The First Alert Weather Team is tracking more rain and the chance for severe storms this weekend. 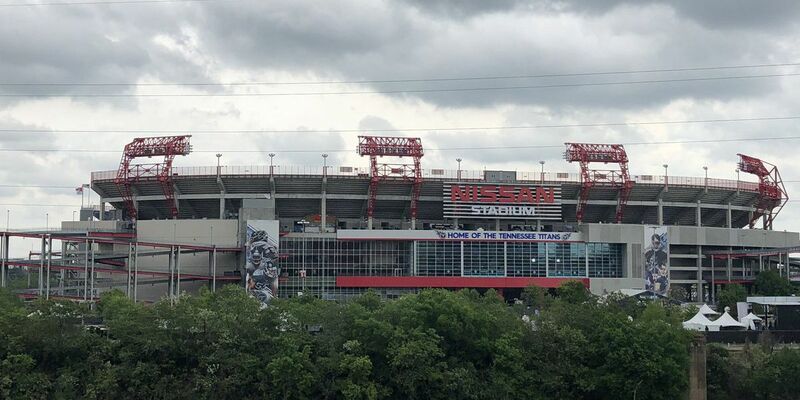 Wednesday afternoon, the National Weather Service Office in Memphis issued a FLASH FLOOD WATCH for much of the WMC Action News 5 coverage area and the Mid-South. Rain and lots of it will move into the Mid-South by Tuesday afternoon as a storm system develops over the western Gulf of Mexico and move north. The seismograph was busy early Sunday as a small earthquake was detected near Ravenden Springs. A WINTER WEATHER ADVISORY is in effect for NE Arkansas and NW Tennessee until 3 AM due to falling temperatures and precipitation moving through the area tonight. Winds diminish tonight ahead of an approaching cold front. A stray shower is possible this evening ahead of the front but better chances for rain will move in tomorrow. 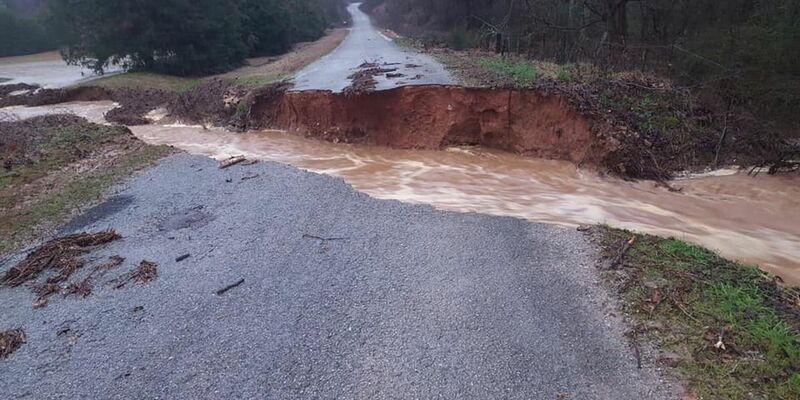 Severe flooding has caused an Arkansas school district to cancel classes. A steady stream of Pacific moisture is keeping clouds in place across the Mid-South and will ultimately lead to more rain. 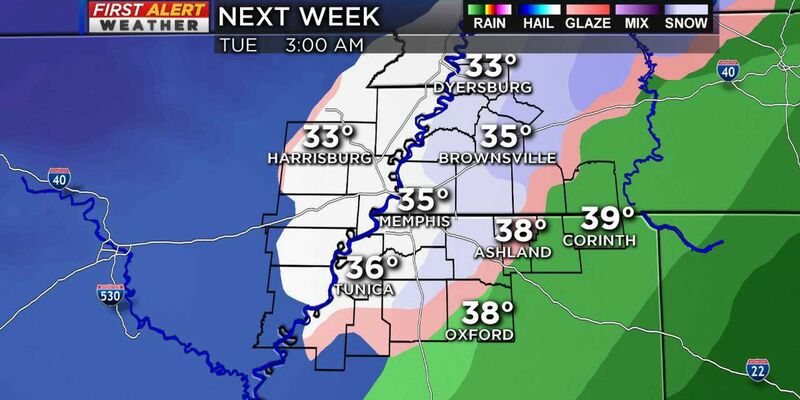 Another blast of arctic air invades the Mid-South as rain exits the area this evening. Wind chills Friday morning will be in the low to mid teens as winter reminds us that it isn’t over yet. A steady stream of moisture continues to flow into the Mid-South tonight producing areas of heavy rain in much of Arkansas and West Tennessee with more to come tomorrow. 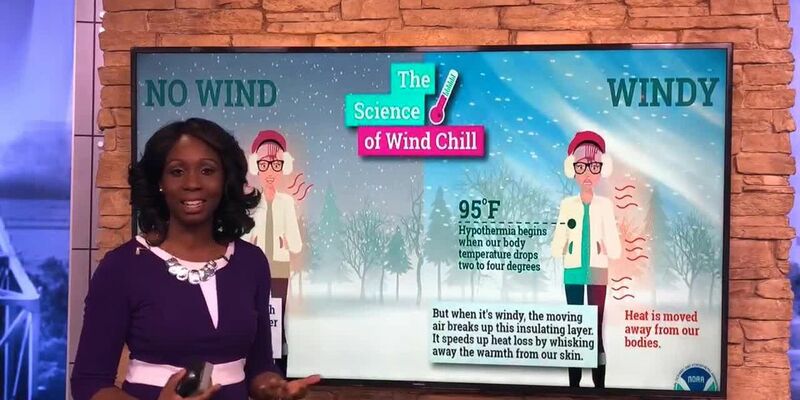 In this episode of the Breakdown, we explain what is causing the booms that people are hearing in the freezing cold temperatures. 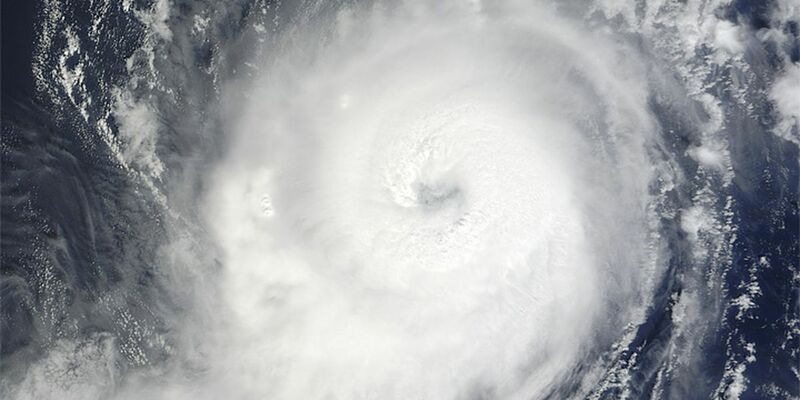 A strong southerly flow will allow temperatures to continue to rise for the next few days. Rain chances are slim for now but will increase next week with a series of fronts entering the Mid-South. Cold arctic air will keep a grip on the Mid-South for one more night before southerly winds usher in much warmer air for the next few days. 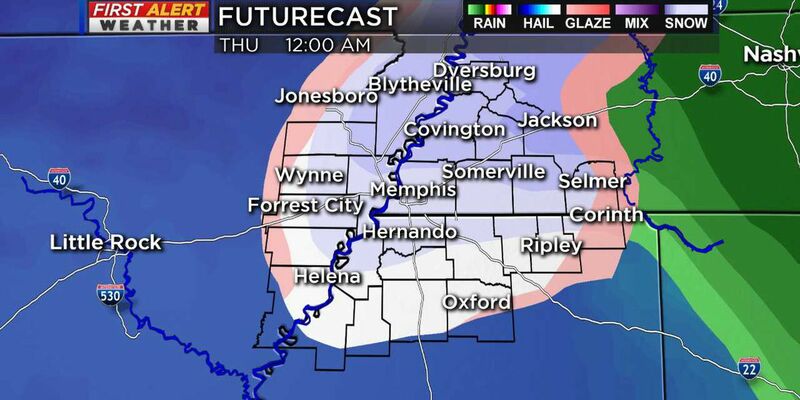 Forecast models are hinting at snow again in the Mid-South. A cold front brings clouds overnight a even colder air to end the week followed by two more disturbances that could bring snow to parts of the Mid-South. A potent low pressure system will move through the area overnight and tomorrow bringing rain, a threat for storms, strong winds, and possibly snow. Temperatures will be like a roller coaster the next few days.By the end of the weekend, we take a big dip in temperatures. High pressure brings a southerly flow for the next few days allowing for warm temperatures and increased rain chances later in the week. 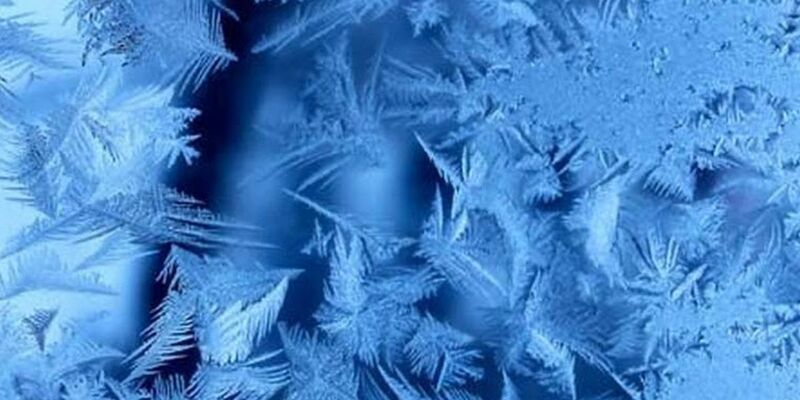 Then get ready for the coldest air of the season to arrive over the weekend. Cold temperatures have returned and will remain in place for the next several days. The pattern is dry for now, but a system from the southwest will bring rain to start the weekend. Shaking was felt throughout Washington County. Clouds and rain finally move out allowing drier air to filter into the area, but it could be short lived. 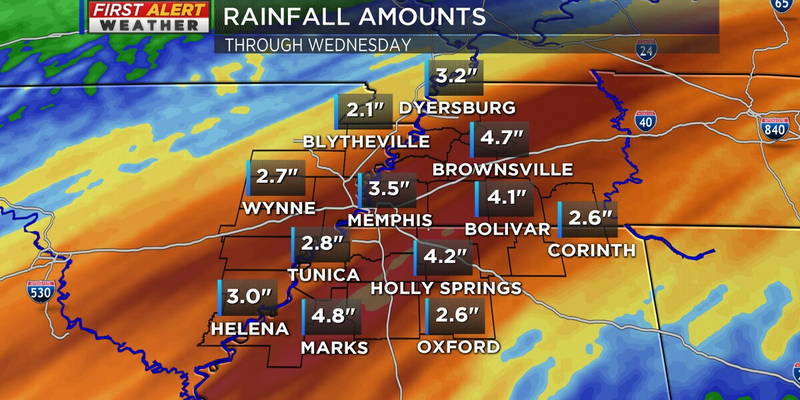 A low pressure system moves across the Mid-South bringing more rain to the area overnight and tomorrow. Gusty wind and heavy rain on the way! Winds will pick up this evening and especially overnight. Expect a mostly cloudy sky with just a stray shower through midnight. 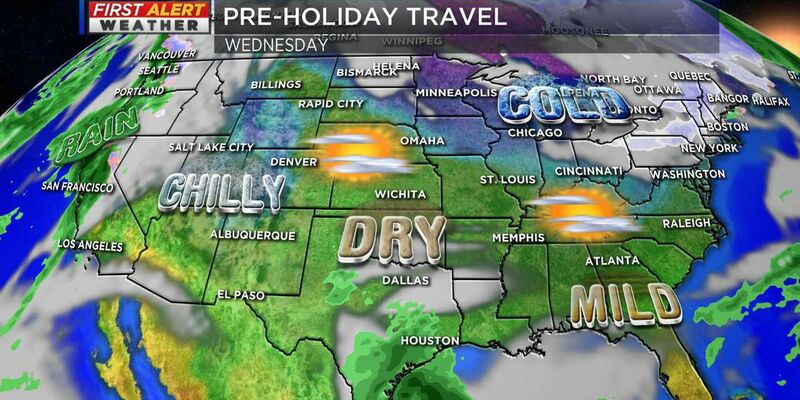 Temperatures will hold in the 50s. Clouds clear as cold dry air filters into the Mid-South tonight but a temporary shift in winds from the south will make for a warmer weekend. A slow moving low pressures system will move east along the Gulf coast driving moisture in the Mid-South making for a rainy pattern to end the week. 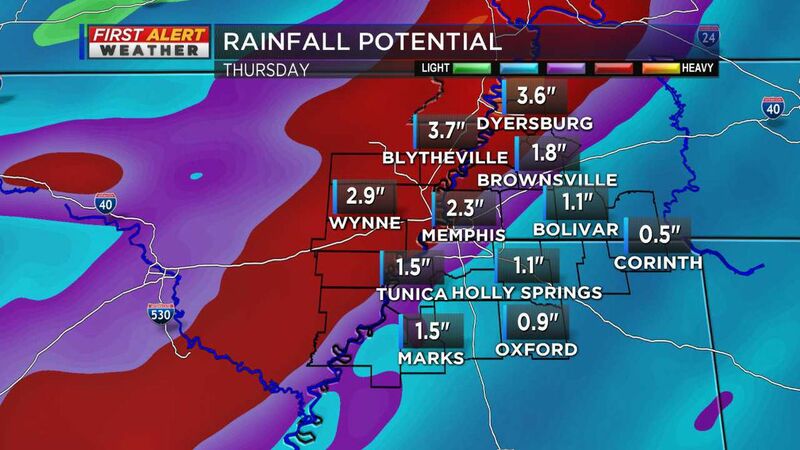 A low-pressure system and cold front will bring rain to the Mid-South. The rain will build overnight tonight and last through the end of the week. 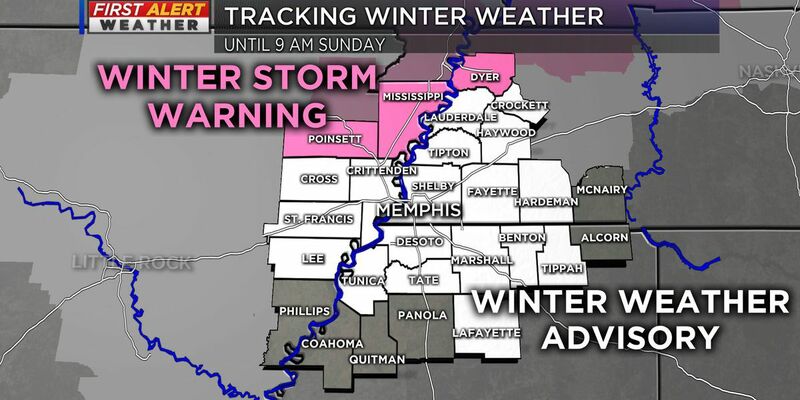 The National Weather Service in Memphis has upgraded Dyer County in Tennessee along with Poinsett and Mississippi Counties in Arkansas to a WINTER STORM WARNING. 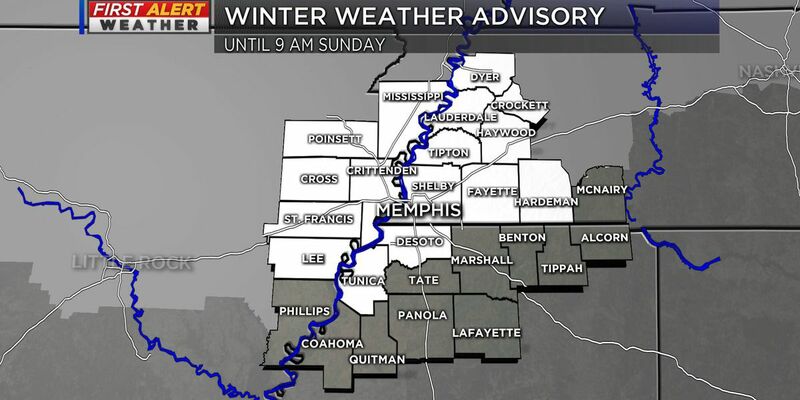 They have also expanded our WINTER WEATHER ADVISORY to include more counties in North Mississippi. 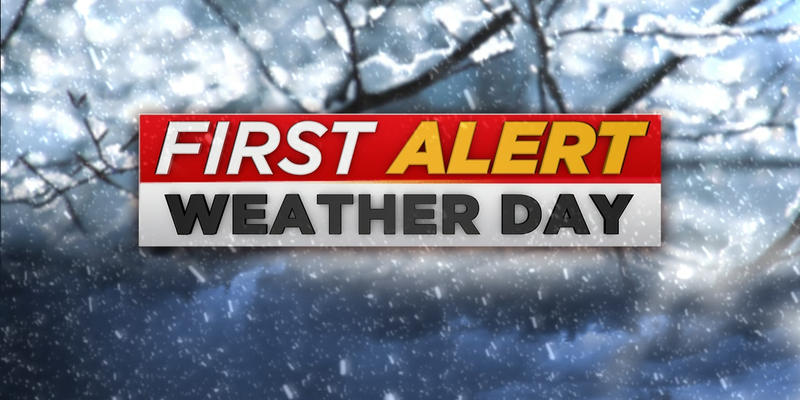 Friday evening, the National Weather Service in Memphis issued a WINTER WEATHER ADVISORY for northeast Arkansas, the Missouri Bootheel, and northwest Tennessee that will go into effect at 3 a.m. Saturday morning and remain until 6 p.m. Saturday evening. 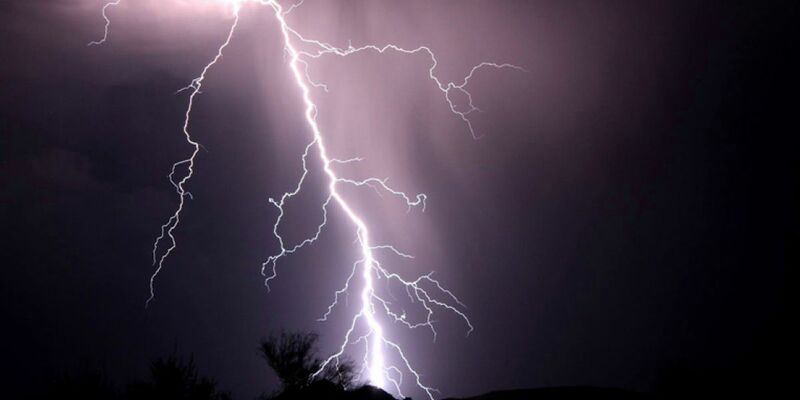 Lightning can strike the same place twice and sometimes even multiple times. Cold temperatures will continue as we push into the weekend. 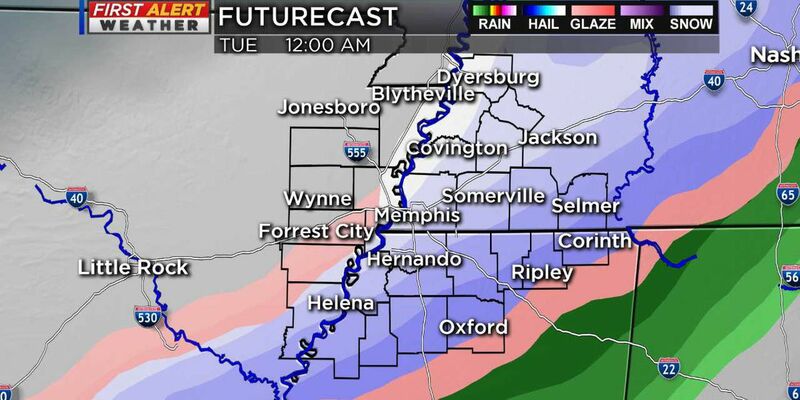 Mix that along with moisture building into the area and we are tracking the potential for wintry mix for portions of the Mid-South. Wind chill is how the wind makes the body feel when the wind is blowing on a cold day. 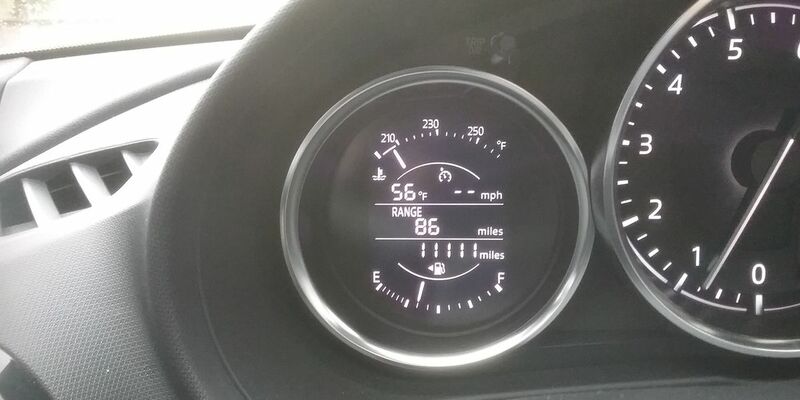 In this episode of the breakdown, we explain why you might not want to always trust the temperature reading that your car displays on its dash. A developing cold front will move through the Mid-South late Friday night into early Saturday morning. 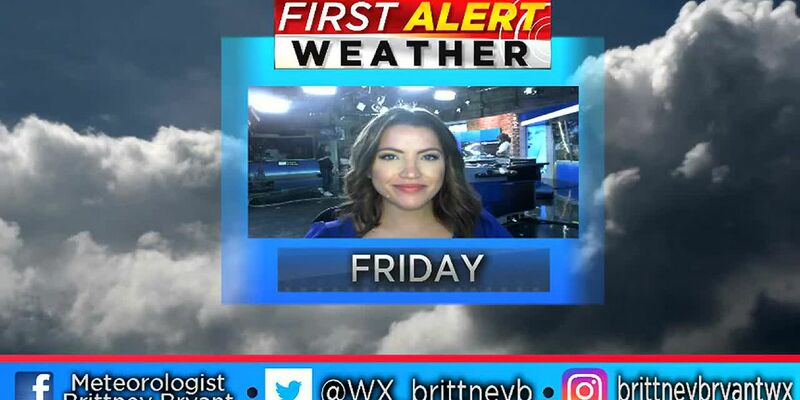 The First Alert Weather Team is tracking a low-pressure system that will swing into the Mid-South Friday night going into Saturday morning, bringing the chance of strong to severe storms to the region. It’s dry this morning, but a weak front will push into our area later today and give us a chance for rain. 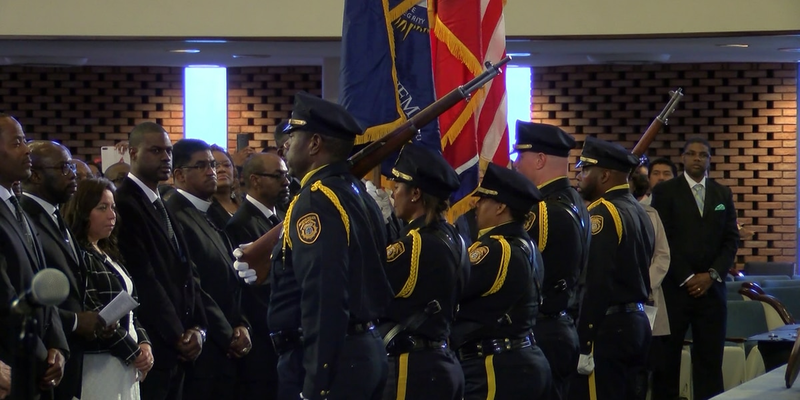 If you’re headed to the airport or hitting the road Wednesday to meet family and friends for the Thanksgiving holiday then you are in luck, for the most part. The snow has come and gone and now we are getting a better look at how much snow the Mid-South received on November 14th. 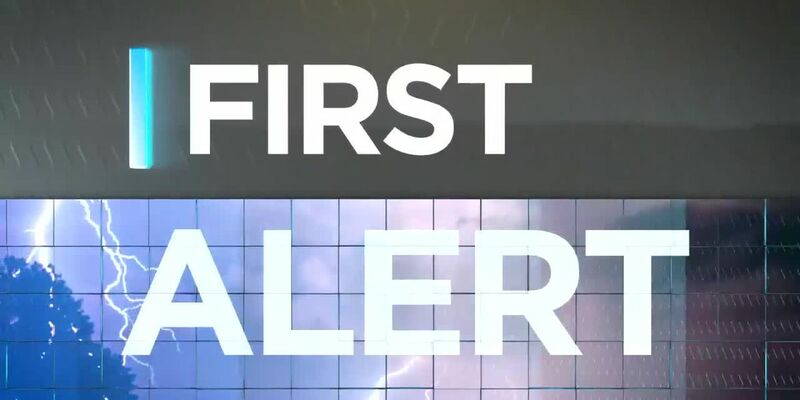 Thursday is another First Alert Weather Day in the Mid-South. 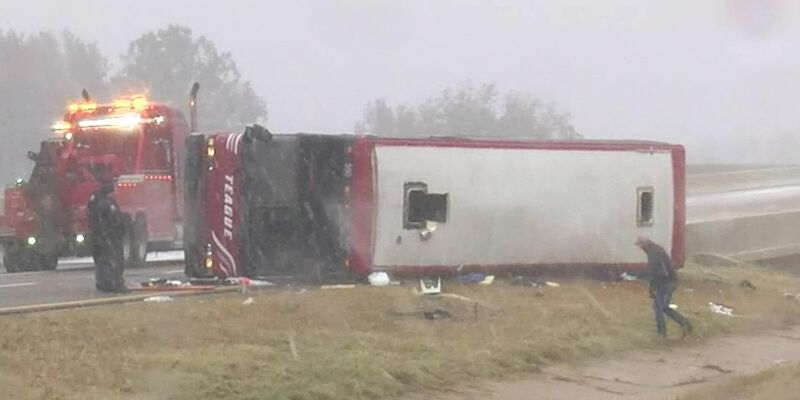 Two people are dead and 44 others are injured after a tour bus overturned in DeSoto County, Mississippi, about 40 miles south of Memphis. 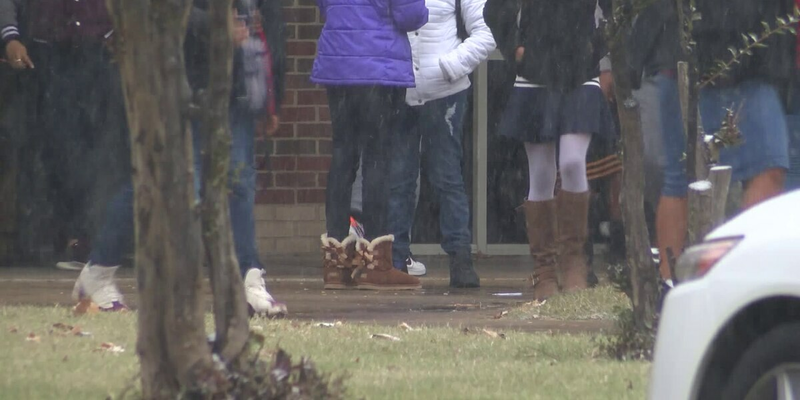 Blytheville school district officials decided to dismiss schools early Wednesday, for safety’s sake. Send us your snow day pictures! Enjoying the snow day? We want to see! 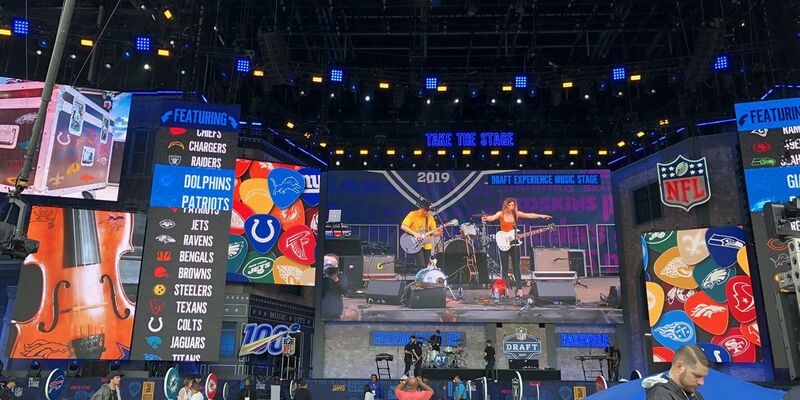 Send us your photos. 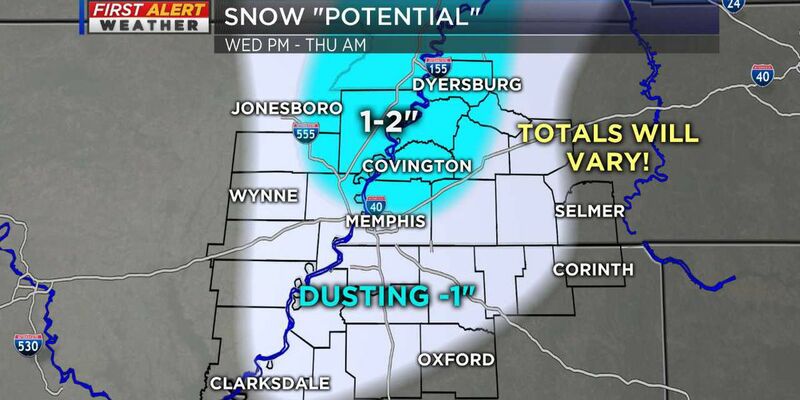 Wednesday and Thursday's forecasted snow would be the first time since 2014 that snow fell in the Mid-South. That month, we received 0.3 inches. A WINTER WEATHER ADVISORY is in effect Wednesday through Thursday morning for most of the the Mid-South. 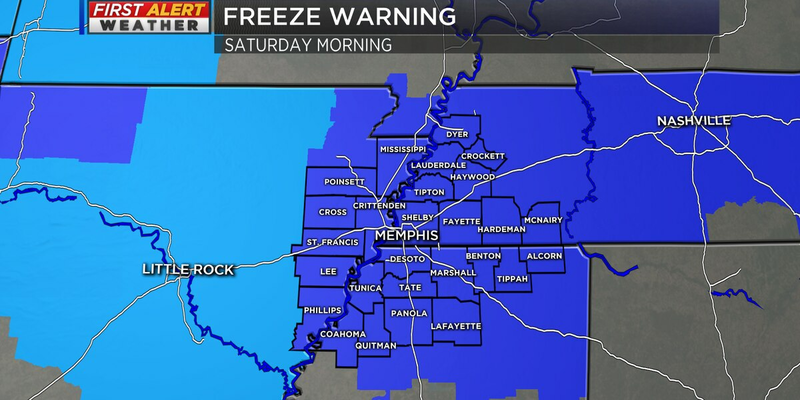 Cold Canadian air has a chilly grip on the Mid-South and more cold air is on the way. 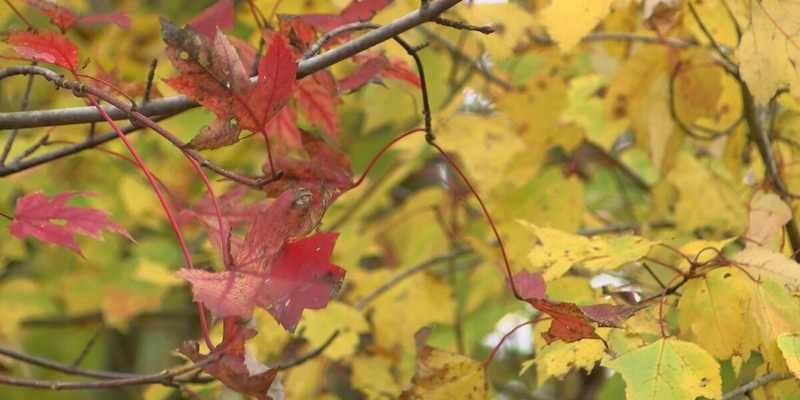 We’re still more than a month away from the official start of winter, but the Mid-South is already dealing with its first round of winter cold. 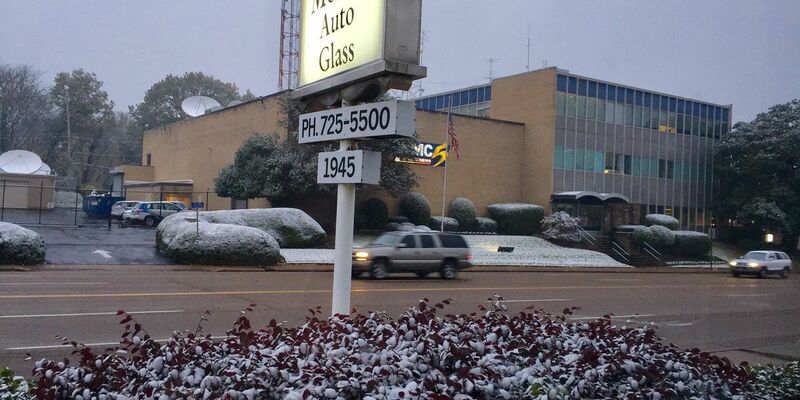 It's fall, but in the next few days the Mid-South is bracing for winter weather. 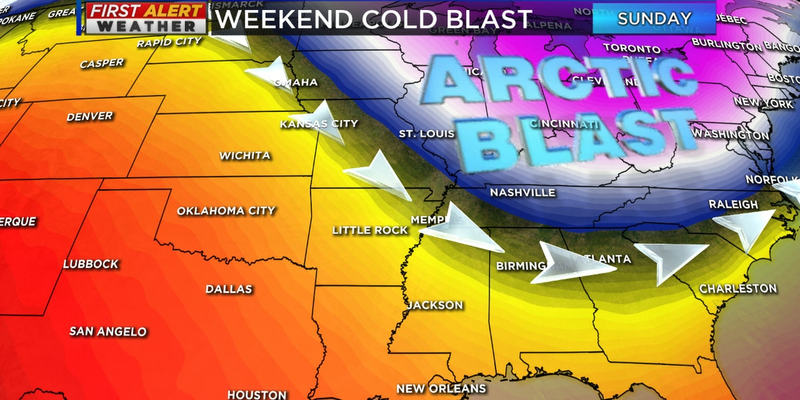 The coldest air of this season will push into the Mid-South this upcoming weekend. The freezing temperatures will occur thanks to a dip in the jet stream moving in cold Canadian air across the Mid-South. The rain from Monday moved east overnight, but we woke up to fog on Monday morning. After the morning fog clears, it will be a beautiful Fall day. 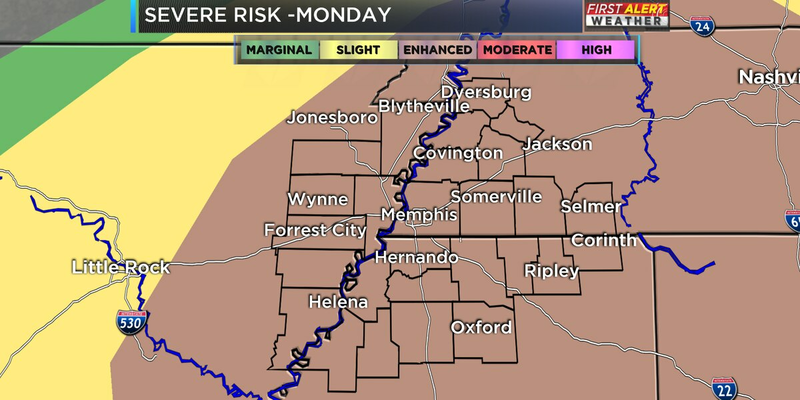 A cold front will move into the Mid-South today and give us a chance for severe thunderstorms. 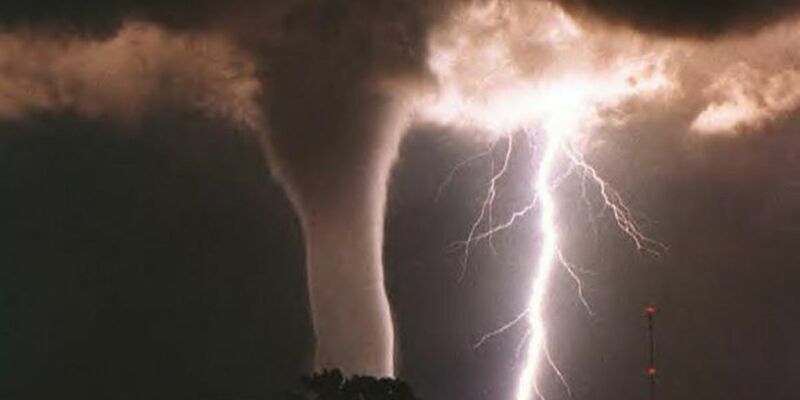 The Shelby County town of Arlington is warning residents that several tornado sirens are down as storms threaten the area Monday evening. 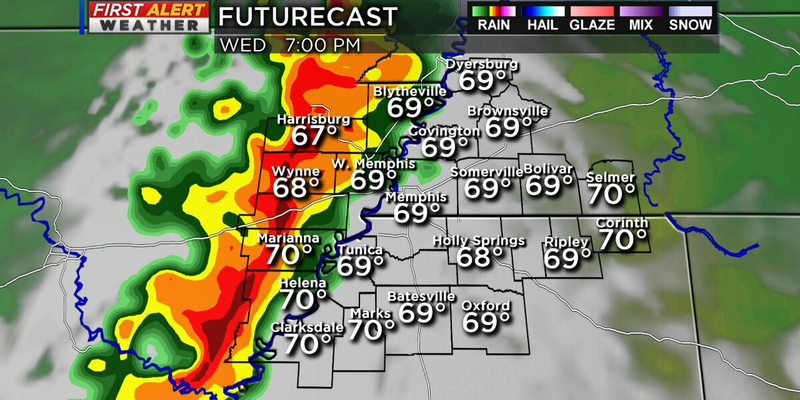 Storms will start north of I-40 around 5 or 6 and then move into Shelby County by 8 p.m.
Breakdown: Why do we fall back? 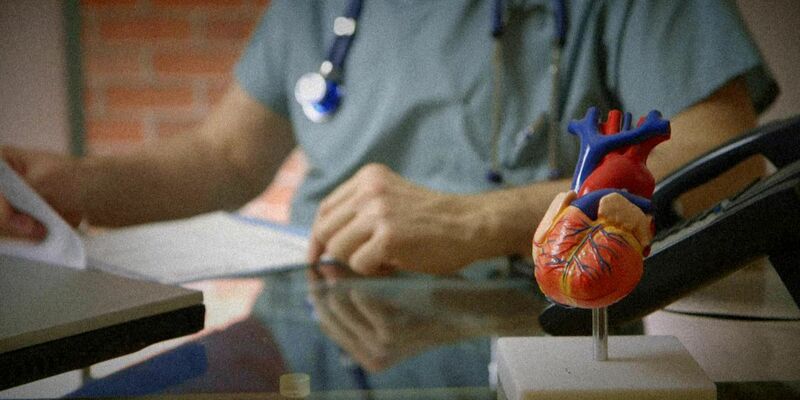 Have you ever wondered why we fall back? The reason behind the extra hour is to adjust the daylight hours to be more usable when most of us are awake. It is meant to increase the amount of daylight we see in the morning.